Do our eyes deceive us? Representative Alexandria Ocasio-Cortez says and does things that thrill progressives like me. But how much of her appeal comes from her being young and attractive? John Kennedy’s good looks and relative youth helped him to become president and keep his popularity high after he died. Justin Trudeau, fortunately still alive, has had the same effect on Canadians. Ronald Reagan wasn’t young when he ran for president, but his movie-star face and trim build were part of his charisma. Barack Obama wasn’t a great beauty, but he was only 45 when he started running for president, which helped voters believe that he could bring a fresh approach to the job; he defeated Hillary Clinton (59 years old at the time) and John McCain (age 70). 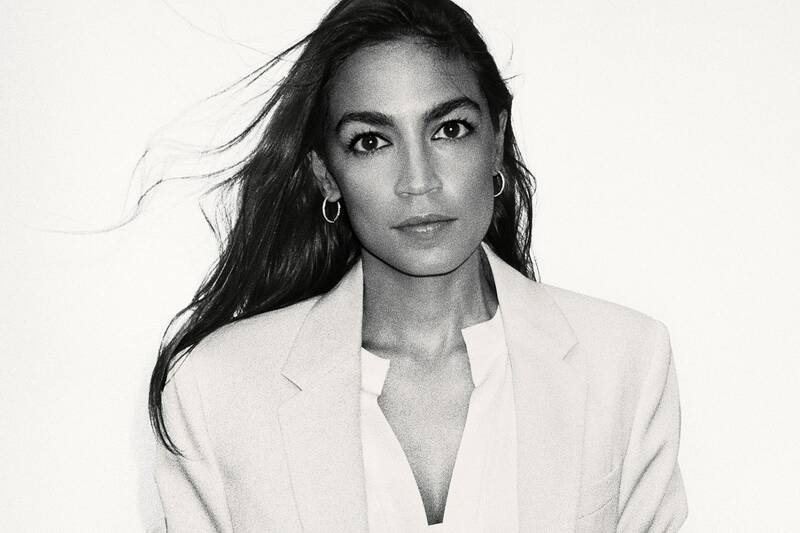 Will AOC still be as exciting when she’s no longer young and beautiful? Or to put it another way, how shallow are those of us who like her? Trigger warning: This post is about a sad subject. When you’re in touch with someone often, and she dies, her death confronts you all the time: You realize that you would have talked with her today, you would have eaten dinner with her tomorrow night, you would have seen her this weekend. Even if at first you can’t believe that she’s dead, the loss hits you and hits you and hits you until it becomes part of you. Then there are the loved ones whom you don’t see so often, like the ones who live far away. They’re not part of your daily life, but you’re happy to know that they’re out there, and you look forward to your next contact. When someone like that dies, the recovery process gets strange — especially if the deceased’s funeral takes place so far off that you aren’t there for any of its cathartic healing. While your friend was alive, you got so used to her being away that when she leaves you forever, it’s almost as if nothing has changed. Her death doesn’t confront you, and it’s easy to let it slip out of your mind. Eventually, though, you accidentally drop into an old habit and think of contacting her. That’s when you run headfirst into the heartless reality, and you’re sad all over again. Recovery takes you longer because the reminders of her death hit every few weeks or months, not day after day. Losing someone you see all the time is harder — much harder, desperately harder, monumentally harder — than the pain of losing someone who was only occasionally a part of your life. But the latter seems to linger forever. I grew up in Beverly Hills. The experience has given me an idea about Donald Trump. Trump would probably deny that insecurity could be driving him. He doesn’t seem introspective enough to explore whatever subterranean fears might be spinning his turbines. Nor does he seem likely to consider that he may have built up the hard-charging front-line fighters of his outward behavior to protect him from his own feelings. And I’ll admit that Trump-size wealth seems likelier to make a kid feel secure, not insecure. If everyone around you always gives you the best of everything as if you deserve it all, then you’ll probably believe that you deserve it. But when I see someone who boasts about himself and denounces others as often and passionately as Trump, I see insecurity. And it may be the insecurity of the rich kid who feels like an undeserving impostor.